We strive to provide you with the best financial resources in the region. We value our partnerships with these local experts and welcome you to learn more about how our partners can help you achieve your financial goals. 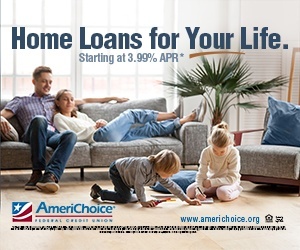 AmeriChoice Federal Credit Union partners exclusively with Liberty Mutual to help members save $509 or more on auto insurance.1 And with benefits such as a 12 Month Rate2 and Better Car Replacement™³, you’ll worry less and save more. Please call Ashley Burgett at 717-590-6697 or visit Liberty Mutual to learn more or get a free quote. 1Average annual savings based on countrywide survey of new customers from 8/1/15 to 8/1/16 who reported saving from prior premiums when they switched to Liberty Mutual. Savings comparison does not apply in MA. 2Your rate is guaranteed for one full year from your effective date. Rate guarantee may not apply if there is a mid-term change in underwriting risk that impacts policy premium. 3Optional coverage in some states. Availability varies by state. Eligibility rules apply. 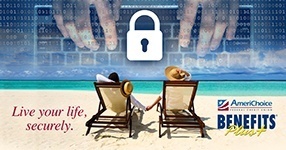 As an AmeriChoice member you are eligible for discounts with Love My Credit Union Rewards. Special discounts for personal and business Sprint monthly service. Save on ADT, DirectTV, and Allied home services. Get roadside assistance protection and more at up to 50% off other popular plans. The more offers you take advantage of, the more you save. 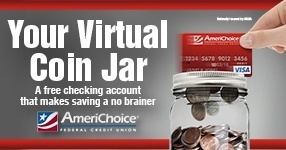 Start saving today at LoveMyCreditUnion.org! The Law Firm of Saidis, Shultz & Fisher traces its origins to Saidis & Guido established in 1976. Throughout the years and continuing today, the Firm has maintained its established roots in Central Pennsylvania. AmeriChoice has arranged for a discount from the Firm’s prevailing fees for Credit Union Members. It also has negotiated fixed fees for many items that concern our members. Fixed fees are generally available for items such as Wills, Powers of Attorney, Living Wills and a variety of real estate and other services. This service is to encourage Members to seek the advice of an attorney before they are engulfed by severe or costly legal difficulties. The Firm maintains offices in Mechanicsburg and Carlisle. For more details, including a full list of benefits, exclusions and limitations, please contact Robert C. Saidis at 717-590-8529 or cfisher@ssfadvocates.com. More information about the Firm may be obtained at is website ssfadvocates.com. When considering term life insurance, affordable Term Life Insurance is available for credit union members through the LifeRing Term Life Insurance Program. For more information about how to provide more protection for your family while spending less money, contact LifeRing at 1-800-223-8646 or visit their website at lifering.net. To show how much we value your membership, AmeriChoice Federal Credit Union has arranged to provide all active members age 18 and older with $1,000 of Group Accidental Death & Dismemberment Insurance at NO COST TO YOU! As added protection for your family, you also have the opportunity to purchase additional coverage at affordable group rates! or for more information, go here or call toll-free 1-855-631-2882. Plan features, costs, eligibility, renewability, limitations and exclusions available here. For Additional information or to open an account visit https://cweblink.automatedfinancial.com/ or call 1-800-434-1776.
community-focused organization like ours had to find a way to help. We have. AmeriChoice is offering free discount cards that can save up to 75 percent for prescription medications and as much as 50 percent off the rates for laboratory tests and diagnostic medical imaging. These benefit areas are among the most utilized today, and consumer demand continues to grow. Working much like a savings coupon for any other product or service, the RxCut®Plus discount card entitles the bearer to reduced prices for prescriptions, laboratory tests and diagnostic medical imaging. There’s no enrollment required, and the card is transferable to anyone who wants to save money for these vital medical services. There’s absolutely no obligation on the part of the user. For those without medical insurance, the discounts are an obvious advantage, but the savings may apply to those with too little insurance or for medications and procedures that aren’t covered under an existing plan. Compare prescription prices between existing coverage and the RxCut®Plus card at the pharmacy, and use whichever is cheaper. For lab tests and medical imaging, call 1-800-808-1213 to see how the RxCut®Plus affects out-of-pocket expenses. Schedule and pay for the appointment if the price is lower. It’s that simple. We’re pleased to continue our legacy of community assistance with this much needed relief. Get your card today at any AmeriChoice branch and pass some along to your friends and family who need help. The card can also be printed from our website at rxcut.com. Long term care protection is the cornerstone of a complete retirement plan. Your dedicated LTC Specialist can research and obtain each discount to which you’re entitled. Don’t miss out! Your dedicated LTC Specialist can access all the top insurers for you at once. You benefit from a professional recommendation. Don’t go it alone! If you are not satisfied for any reason, you can request your money back within 30-days of policy receipt.